1 Samuel 30:24-25 (NIV) “The share of the man who stayed with the supplies is to be the same as that of him who went down to the battle. All will share alike.” 25 David made this a statute and ordinance for Israel from that day to this. Pastor Hobbs is not a recreational bow hunter. He hunts for the recreational value it brings, but he is very serious about the process. Thus, in his day, it wouldn’t be unusual to find him deep in the woods on a multi-day excursion seeking out that “trophy” deer. As a result he learned a very valuable lesson: Set up your tent before going hunting. 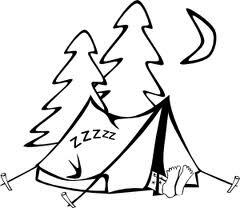 Your “tent” is your base; it is the reference point that provides protection and provision. To spend a full day out in the woods and then—hopefully—get to carry back to the camp a heavy trophy deer only to discover that you have to set up camp before you can eat and rest is a real drainer. Matter of fact, in certain conditions it can be downright dangerous. The first tent-pole is my own personal spiritual condition. The Bible teaches us to “keep our hearts with all diligence, for out of it spring the issues of life.” (Proverbs 4:23) When I allow my own personal walk with God to get wobbly it compromises everything else in my life. Bottom line, we must never get so busy with important things to do that we stop taking time daily to be with the most busy and important Person in the universe—God. Another tent-pole is our health. We do life in our bodies—there are no other options. You can ignore taking care of the base camp for a while, but eventually it will come back to bite you. The good news is that it is never too late to start taking care of your body. Another tent-pole that I had to learn was vitally important was my marriage and family. We ignore investing in the key relationships in our lives at our own peril. Marriages and other key relationships will not run at optimal levels on their own–they require an investment, an investment from you. It’s a sad, sad thing to see someone go running off to win the trophies of life and then when they finally win them they tragically discover that their base camp has been so neglected that there is no one home to celebrate the victory. I’ll give you one more tent-pole for setting up your tent and that is your job—you know, that activity that does things like—buy food. For me, my job is Fort Mill Church of God. I’m in my 19th year now at the same job and over the years I’ve discovered that when I allow outside demands—good things like missions travel, denomination responsibilities and speaking engagement—to get out of balance that my base camp suffers. I have to monitor this carefully to make sure that the “trophies” of the ministry do not take me away from my ministry—serving as pastor to the good people of the FMCOG. Thankfully, I love my job, but for so many the game plan is to denigrate their job, despise their job, and long for the day when they can depart their job. However, if they would put as much time into doing their job as they do complaining about it they’d discover that like most good hunters—they will soon be having to turn down lesser trophies because their job has become a trophy. Bottom line, taking care of the “home base” is vitally important. Before rushing off into the bush country to bag that trophy—make sure you set your tent up first.